Dave Foreman, Founder of The Rewilding Institute and coiner of the term “Rewilding,” discusses its origin and history on Episode 1 of the new Rewilding Earth Podcast. For the answer, we had to invite the obvious guest, Dave Foreman. After all, he is the originator of the term Rewilding. 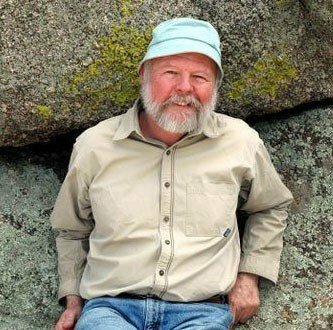 Dave’s work spans decades, starting in the early 70’s, he worked for The Wilderness Society as Southwest Regional Representative in New Mexico and the Director of Wilderness Affairs in Washington, DC. From 1976 to 1980, he was a board member for the New Mexico chapter of The Nature Conservancy. Dave co-founded Earth First! in 1980 with Howie Wolke, Ron Kezar, Bart Kohler and Mike Roselle. In the 90’s, he co-founded The Wildlands Project which eventually led to what was then called a conservation think-tank, The Rewilding Institute, in 2003. You can read more about Dave’s background and check out his books, such as Rewilding North America and Man Swarm, at Rewilding.org. It was in 1992 that Dave coined the phrase Rewilding. It has since has come to mean different things to different people and groups around the globe. I asked Dave to take us back to the beginning and describe how the idea for Rewilding came about and who the players were that helped him start what is now a conservation buzzword, inspiring and guiding wilderness protection and restoration efforts around the world. See Also: Rewilding Synopsis | Rewilding North America | Rewilding Distilled | What Is Rewilding?